As I sit down to write about my latest project I can’t help but smile as my mind wanders off to that episode of Coupling where Susan and Steve are trying to buy a sofa but Steve goes off on a rant about the devious cushions. It’s pretty hilarious but you know what’s worst about his rant? It’s that he’s actually, to large extent, right. :) Have a look for yourself. Here’s a link to YouTube. 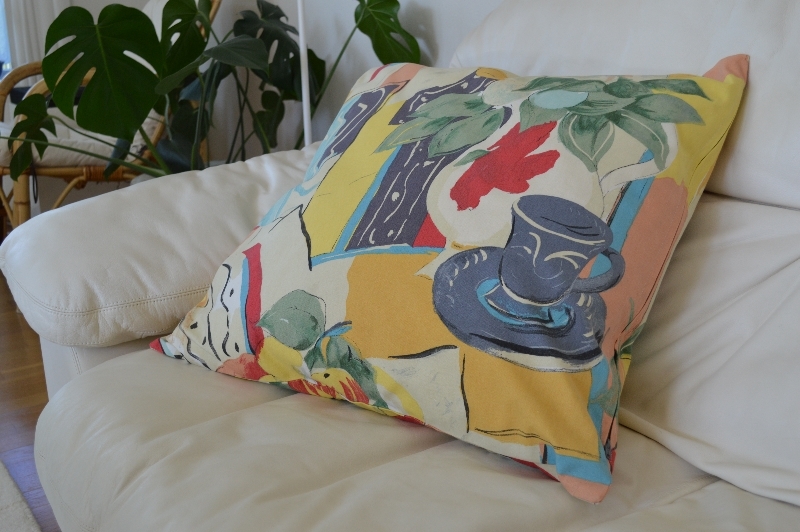 This cushion project isn’t for myself but for my mum. 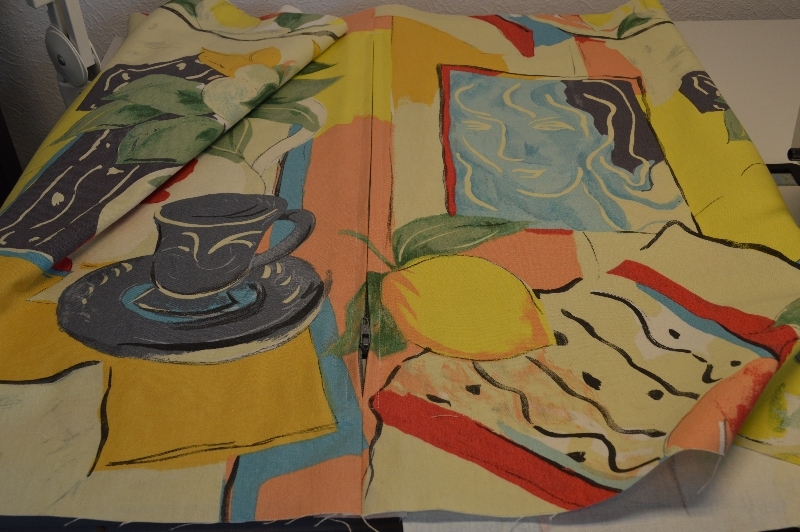 She bought this designer fabric and asked me to make her a 60x60cm large cover. To begin with, I cut the fabric into two 63x63cm pieces (1.5cm seam allowance). Since I only had a normal zipper and not an invisible one, I wanted to hide it a bit. With the zipper being slightly smaller (around 50cm), I began by sewing the pieces face sides together but leaving an opening for the zipper (slightly smaller than 50cm). With the iron, press a crease where there would’ve been a seam if not for the zipper. Then place the zipper under the opening and pin it in place. From the front side, sew the zipper in place. 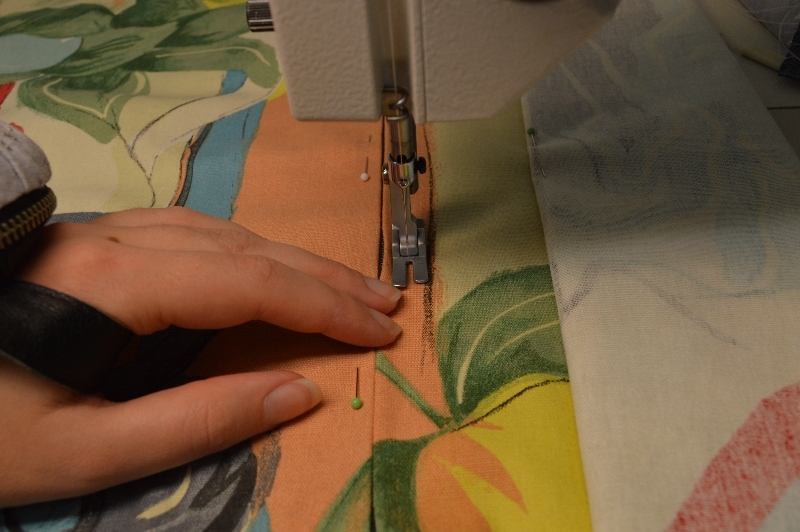 I often feel that the fabric stretches a bit and to counter this, I never sew around the zipper. Instead I sew one side first, then start again from the top and sew the other side. 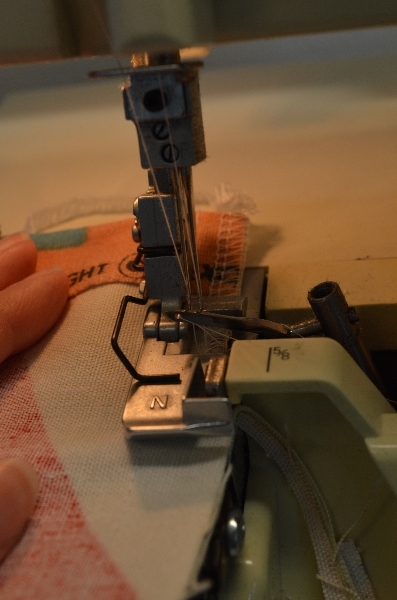 This way the zipper will be equally “crooked” on both sides :) My narrow presser foot is 0.5cm wide and steering it close and parallel to the zipper gives me a nearby perfect seam. Here’s how the zipper looks at this stage! Will you look at that insanely good pattern matching! The funniest thing is that I didn’t even notice it until now that I was going through the pictures. Sewing the zipper was the hard part. 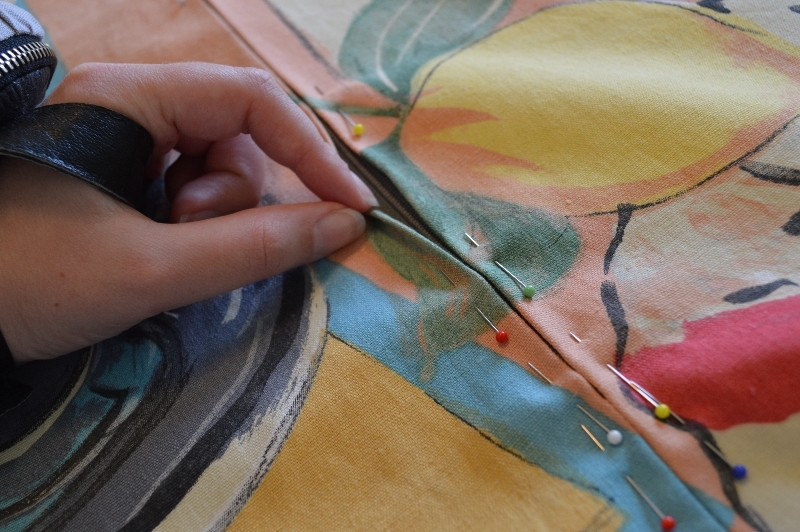 Now just pin the cushion cover with face sides together and sew all the way around. Don’t forget to open up the zipper a bit, it makes things a bit easier later on. 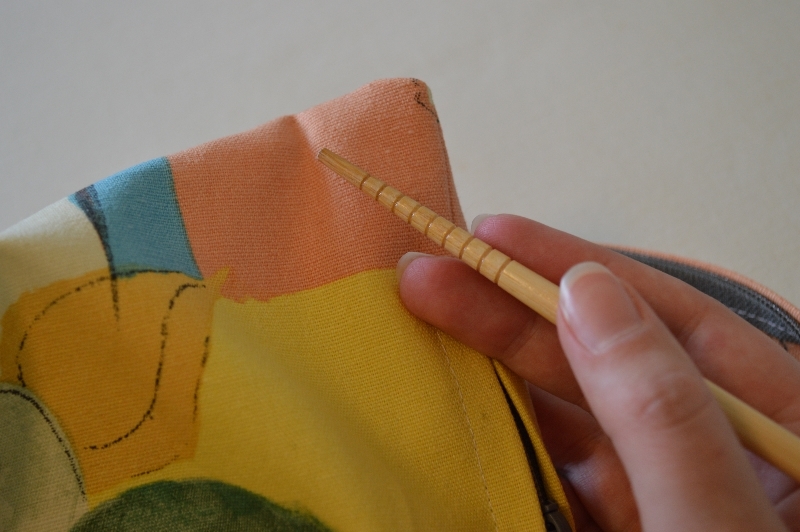 Finish the edges with zigzag or a serger if you’ve got one. Last by not least, turn the wonderful creation right side out! I like to use my cooking chopsticks for the corners. They’re small enough to do a good job but blunt enough to not damage the fabric. Categories: How-To, Misc | Tags: cushion cover, sewing | Permalink.